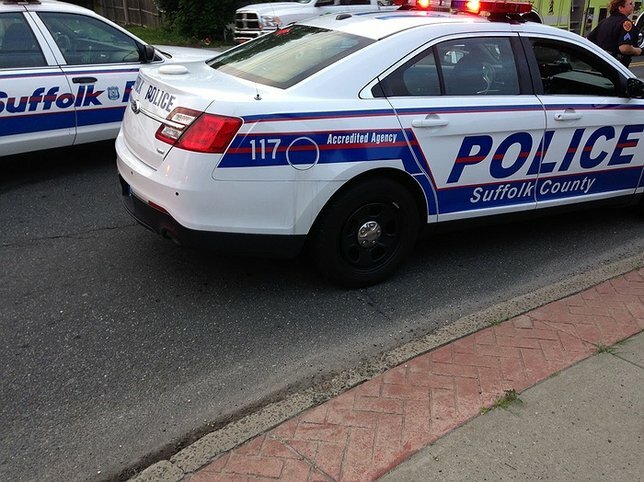 Suffolk County Police Sixth Squad detectives are investigating a crash that killed a teenager on a bicycle in Miller Place this evening. The driver stayed at the scene and was uninjured. The investigation is continuing. Miller Place, NY - February 24, 2017 - Suffolk County Police Sixth Squad detectives are investigating a crash that killed a teenager on a bicycle in Miller Place this evening. Jessica Doyen was driving a 2015 Honda Pilot northbound on Miller Place Road, when she made a left turn onto westbound Route 25 A, striking a bicyclist that was crossing Route 25 A northbound at approximately 5:05 p.m. The bicyclist, Nicolo Signore, 14, of Miller Place, was transported to Stony Brook University Hospital by Miller Place Rescue where he was pronounced dead. Doyen, 52, of Miller Place stayed at the scene and was not injured. The vehicle was impounded for a safety check. The investigation is continuing. Subject: LongIsland.com - Your Name sent you Article details of "14-Year-Old Boy on Bicycle Killed in Motor Vehicle Crash"